I figured out how I can look tan from a bottle (or can?). I have tried other rub on lotions and all, but this foam stuff is the absolute best! Everyone keeps telling me I have my Florida tan, but I know it’s not from being out in the sun! You see, we are a very fair skinned family and the sun is strong in FL. We lather on sunscreen like crazy, not really seeing much tan going on. (I also like the shade a lot more when it’s 100+ degrees outside.) I use the foam almost daily on my body and I use Physicians Forumla bronzer on my face. I have very sensitive skin, especially on my face, and this is one thing that doesn’t seem to effect it that much. I also love the mixture of shades it has. It makes the tan look very natural. Now, I know the bottle says 25 uses, but I used my first bottle of this stuff for 2 months (maybe that’s because I only put it on places that would show if I had my bathing suit on) and I have never had a problem with streaking. But, you have to make sure you rub it on evenly and use just enough. 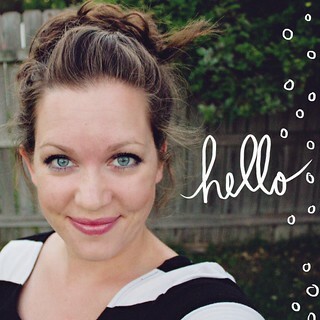 Nevertheless, I figured I would share my success and love with these products. I’ve used this product as well and was very impressed, lately I have been using L’oreal Sublime Bronze. (As a matter of fact, I just put some on! lol) It’s a lotion, but it’s tinted so you seen where it is applied, even has a slight shimmer to it, my favorite part! Do you have to “Sit and let it dry” for a long period or time? Forgot to mention about that, you can put your clothes on immediately and it doesn’t come off! I heart it. Thats awesome! I have used the lotion from the same brand but could never tell if it was working or not! Will def. have to try this stuff!! My little sister was just telling me about that stuff! I’ve tried the lotion, it didn’t work so well with me. I am definitely going to have to try that foaming tanner. Thanks for the tip! I’ll have to try that… the lotion never looks quite right. How’s the smell? Smell is a big deal to me too… tempted to try it, but not if I’m going to stink for days afterwards! lol 🙂 I love bronzer too, I will have to look into that one. I need to replace mine, it feels like I’ve had it forever. Does the bronzer have SPF? Okay, the smell isn’t bad at all. I had to wait until I tried it again this morning because I never paid attention to it! It has a light smell, but once it’s been on a few minutes, you have to put your skin right up to your nose to be able to smell it. I personally don’t find it to be a bad/stinky smell. The bronzer does not have sunscreen in it. I use a foundation that does, so that takes care of that problem. Thank you so much for sharing this info! Who can trust the ads, but love to hear about personal experience!! 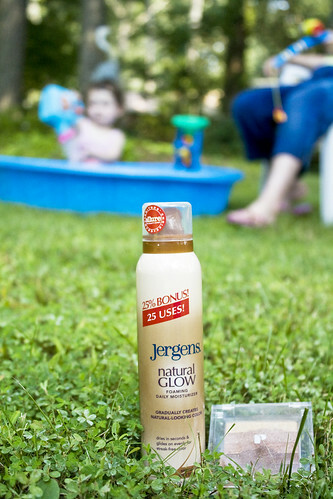 I used the Jergens daily Glow moisturizer on my face year round (I so pasty w/out it)! Thanks so much for the tips! I’m so fair skinned, you’d never know I live in Florida! what color shimmer strips do you use?